In Amherst, the Wisdom or the Swan Song of Solomon...? UPDATED 5/1/18 2:12PM: To issue a correction and for accuracy. This article inaccurately stated non-Democrats could not join the House Dem caucus. It is, in fact, possible. AMHERST—Two years ago, Ellen Story uncorked 25 years of pent-up Democratic ambition. Hampshire County’s largest community and the home of UMass was ground zero for that battle to succeed her. The winner, though, was not a seasoned pols or business leader, but just-graduated Solomon Goldstein-Rose. That context is key to understanding the challenge Goldstein-Rose put himself in this February when he left the Democratic party. Critics, including his Democratic opposition, say the move diminishes the region’s clout in Boston. That may yet prove true, but Goldstein-Rose’s more immediate obstacle is winning reelection as an independent. “Part of it is on me to communicate about what I’m doing,” he said in a recent interview. The 3rd Hampshire House district includes Amherst, Pelham and a precinct in Granby. Goldstein-Rose is the second legislator, after Susannah Whipps of the neighboring 2nd Franklin district, to unenroll from a major party. Whipps left the GOP amid disagreements with the party’s ideology. Since the announcement, Goldstein-Rose has attracted two Democratic challengers. 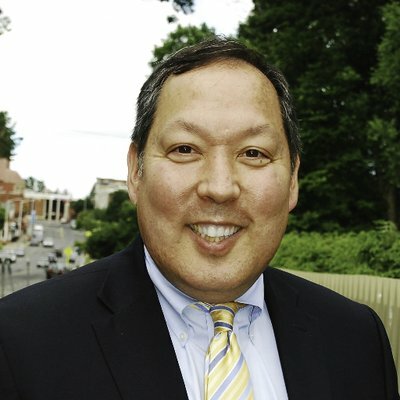 Amherst School Committee member Eric Nakajima, who served in Deval Patrick’s administration, and Mindy Domb, the Amherst survival Center director, will face off for the Democratic nomination in September 4. Speaking to WMassP&I last month at a downtown Amherst coffee shop, Goldstein-Rose, 24, characterized his decision as one consistent with his political development and history. “I’ve made a special effort to be nonpartisan, to reach out to people who do not identify with either political party,” he said. Throughout the interview Goldstein-Rose displayed a clear understanding of the pitfalls and gamesmanship of politics. However, he was most at ease discussing the technocratic detail and possibilities of policy. For example, Goldstein-Rose talked at length about the potential of climate legislation, his pet issue, as an engine to transform the commonwealth’s economy. Yet, that and other major environmental legislation have not moved, despite broad support, he said. Goldstein-Rose told WMassP&I he always saw politics in his future. Working for and meeting political figures from the US Senate’s top climate hawks, Sheldon Whitehouse, to Stav Shaffir, Israel’s youngest legislator, pulled him in that direction. The Amherst rep cited Aaron Regunberg, a Rhode Island state rep. Like Goldstein-Rose, Regunberg was a Brown recent alum when he first sought office. He became the lead sponsor of the carbon pricing bill Goldstein-Rose later advocated for in Providence. While working on carbon pricing, Goldstein-Rose met former US Congressman Bob Inglis. Though ultimately ousted during the 2010 tea party wave, Inglis became the rare GOP climate evangelist. He even spoke at an event Brown’s environmental and Republican groups organized. Hurtling toward graduation, Goldstein-Rose had no Plan B other than seeking the office he knew Story would be vacating. He barnstormed the 3rd Hampshire, emphasizing climate and student issues, to win the Democratic primary. Given the district’s blue hue, he had no general election opponent. “I wanted to be bolder than most politicians I know,” he added, explaining his decision to seek elected office. Like Story, Goldstein-Rose would likely have his the seat for as long as he wanted it. That made his February announcement to unenroll from the Democracy party all the more shocking. Colleagues scratched their heads. Few were outright condemnatory, but neither were electeds eager to comment. In general, they questioned his effectiveness without a party or committee assignments. Nakajima, in an interview last month, echoed feelings other Democrats have expressed. According to Goldstein-Rose, the decision has not lost House Speaker Robert DeLeo’s respect. DeLeo said as much when the Amherst rep told the speaker he was leaving the party. A DeLeo spokesperson did not deny this. So far, Goldstein-Rose’s move had had few tangibles. Whitney Ferguson, a DeLeo spokesperson, confirmed the Amherst rep still has his committee assignments. Goldstein-Rose didn’t rule out caucusing with Democrats, but doubted that could happen. Indeed, House Democratic rules forbid non-Democrats from joining the caucus without the support of five members. It’s not clear if that mechanism would work if Goldstein-Rose is reelected without a party and remains such upon swearing in. Goldstein-Rose contended that political parties are responsible for the slow grinding of American political system. “The US system was written to not have parties,” he said, comparing it to parliamentary democracies which function well enough with parties. In the US, they have cause incredible polarization and inertia at all levels of government, he argued. That critique is not without merit. George Washington explicitly warned against parties. As a matter of practice, though, the country has always had them since Washington left office. Only during a brief period after the War of 1812, in part because Democratic-Republicans dominated, did party divides dissipate. Goldstein-Rose’s decision came after observing power in the House is not distributed the way it seems. Despite huge Democratic majorities, progressive critics have complained conservative Democrats and even Republicans have overwhelming control over what gets to the floor. Usually, the House takes on an idea, not a bill, Goldstein-Rose said. House leaders then massaged the idea into a bill, sometimes merged with related members’ bills. Goldstein-Rose pointed to the recently passed criminal justice reform bill, which he supported. Its movement, let alone passage, was tied to the issue’s broad bipartisan support. Outside groups were also pushing on various power nodes within the legislature. “We often don’t do things unless there is near-universal consensus and no significant opposition,” Goldstein-Rose said. Given that dynamic, Goldstein-Rose reasons that relationships will matter more than committee assignments. Building those relationships, he argues, are easier when he can come at it without the burden of a party label and focus on the substance. Whether voters will agree is another matter. Some here and throughout the district have recoiled at the notion parties are not relevant. Others, like Nakajima argue being a Democrat is more than a label. Like Nakajima, Domb highlighted the impact on advocating for the district and having a voice in broader issues. “As I see it, the decision to unenroll undermines his capacity to participate in, and contribute to, making change,” Domb wrote in an email. Given current events, Domb added, “I also believe it’s mistimed both for the region and in light of national politics.” She accused Goldstein-Rose of equating Democrats and Republicans in terms of obstruction. For his part, Goldstein-Rose insists he is not naïve about the challenge he faces. Over the course of the interview, he acknowledged the difficulty of running without a party, especially one so dominant in the 3rd Hampshire. Though, he is not marching into reelection alone. Younger voters, he claims, remain excited about their generation being in office. He added that some older voters followed his lead after learning why he switched to unenrolled. “I heard they went and changed their own registration to nonpartisan,” Goldstein-Rose said. On April 9, Goldstein-Rose formally kicked off his reelection bid. Sprinkled throughout the announcement were encouraging words from residents, climate activists and a few public officials. Among those backing him were officials from Pelham including Select Board member Karen Ribeiro and Planning Board Chair Abbie Jenks. Ribeiro highlighted his responsiveness and Jenks pointed to his progressive outlook, including efforts to involve more young people and women into civic life. If Goldstein-Rose is naïve about anything, it may be about the interest in his seat itself. Certainly, Domb and Nakajima believe they are better able to represent Amherst, Granby and Pelham. But that also reflects the political vigor and passion in the district, not unlike Hampshire County broadly. Republicans here may find it difficult to channel that, but Goldstein-Rose’s Democrat opponents will not want for grassroots energy to fuel their campaigns. Recent deaths and retirements among the region’s delegation will only stoke that further. Fears about the region’s fading clout are particularly pronounced. If Goldstein-Rose had a few terms under his belt, this context might matter less. In short, that boldness and wonkiness Goldstein-Rose celebrates could be turned against him amidst the building blue wave. To survive, he must convince voters he is still with them on the issues. “I think a lot of people realize I’m still the same person I was” before, he observed. Whether enough do may ultimately decide his fate.